The Maltese national team will be back in action on the international scene this evening in Andorra. The Maltese national team face Andorra in an international match in La Vella this evening (kick-off: 18.00), as they start their commitments in a revamped European Championship. 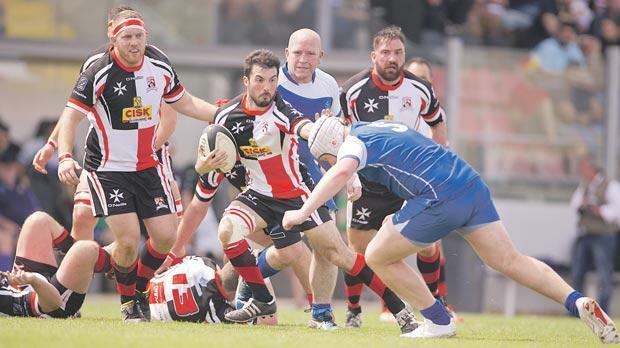 This will be the first outing for Damien Neill’s men in the qualifying phase of the tournament following the introduction of a new format by Rugby Europe. All 36 countries in the championship were split in seven divisions with Malta pitted in Conference One South along with Andorra, Croatia, Cyprus and Israel. Conference One North will be composed of Czech Republic, Sweden, Lithuania, Latvia and Luxembourg. Hungary, Norway, Denmark, Finland, Estonia (North); and Austria, Bosnia, Slovenia, Serbia and Turkey (South) are in Conference Two and start their campaign vying for the promotion slots to Conference One by the end of the qualifying campaign next year. Coach Neill has named a squad of 23 players for the trip to La Vella following a training camp in the United Kingdom ahead of the group opener. The national team will again be without chief scorer James O’Brien who has been blighted by a series of knee injuries. Clayton Cassar (knee) and Terence Galdes (arm) have also been declared unfit for this match. Among the newcomers in the Maltese selection is Isaac Bezzina, of Sliema Stompers. Bezzina is not a new face in the local sporting scene as he has made a name for himself in judo, winning several honours for the country on the international scene before switching to rugby. The side’s next international will be at home to Cyprus today week.